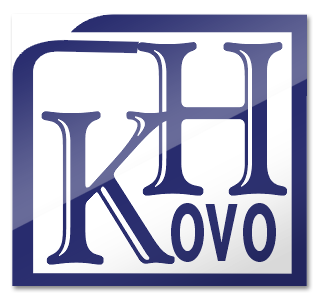 Kovo Hrubý is a family metalworking business that was established 25 years ago. My name is Evžen Hrubý and as an owner, I am pleased to welcome you to this website. I started metalworking business as a small businessman at the backyard of my house after having completed apprenticeship and gained some experience in locksmith´s trade. Our first customers could enjoy their custom-made orders in 1991. With an increasing number of customers and more “metal” services to offer we took the first major custom-made orders from hotels and several construction companies. Other custom-made orders followed. For example, we were commissioned to produce illuminated advertising for petrol stations in the Hradec Kralove region. As the company grew and more workers came, it was necessary to find larger premises. An important breakthrough happened in 1996 when we bought a farm in reconstruction in Dolní Branná. During this period my son Radek joined me and proved to be a great asset for the company. Following this, Kovo Hrubý started the production of high-quality products made out of stainless steel. At that time, we received orders from big customers such as Devro s.r.o., Cutisin Jilemnice, Argo Hytos Vrchlabí, Kovo Kasper Trutnov, Kablo Vrchlabí, and many others. We expanded our producing capacities with food machines, turnstiles, tiled stove, heaters and stairs. Our key to success is a speedy delivery of unusually complicated orders that cannot be made by competitors on a short notice. We are also pride that despite a great number of the latest equipment we managed to keep the company out of debt, loans or grants. Since 2012 we have used a new powerful machine for waterjet cutting. Now we are planning to buy a laser beam and expand our production into other premises. If you have read up to this point, believe us that we will welcome with open arms as well.